Valentine’s Day is supposed to be full of love and fun, but let’s be honest – between choosing a gift and making sure the evening lives up to the hype, there are definitely stressful parts of this holiday that markets itself as red, pink, and cheery. 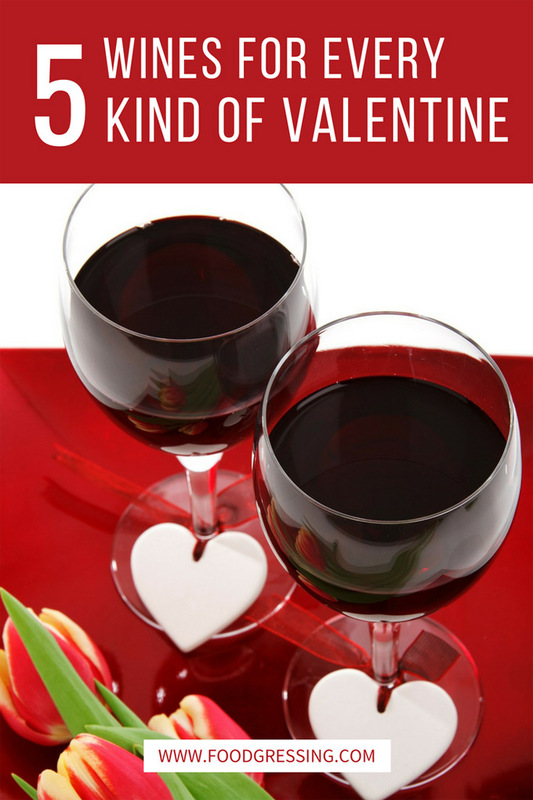 This guide will help you find the perfect Valentine’s Day wine for every kind of Valentine! Finding food and alcohol is hard enough most days for vegans, let alone on holidays and celebrations where you would like to make things a little more special. Luckily, Blue Grouse Estate Winery has a wide range of vegan wines. For Valentine’s Day, choose either the 2015 Quill White or 2016 Quill Off-Dry White. Not only does Blue Grouse have a variety of vegan wines in their portfolio, but they are also an incredibly environmentally-friendly vineyard. They are pesticide free and just won an award from their bottle supplier for excellence in sustainability. Hopefully, these earth-friendly facts make Blue Grouse’s wine taste a little sweeter for your vegan Valentine! It’s pretty awesome that we live in a province that has such a thriving wine industry, so we should celebrate it! British Columbia has garnered international notoriety for our wines, and each year the vintages just keep getting better and better. I f your Valentine is keen on BC wine or loves to visit wineries in the Okanagan, choose Mirabel Vineyards’ 2015 Pinot Noir. This super-exclusive 100% Pinot is suitable to cellar. At only 237 cases produced, the only place to snag up this dreamy bottle is at New District on Dunbar. 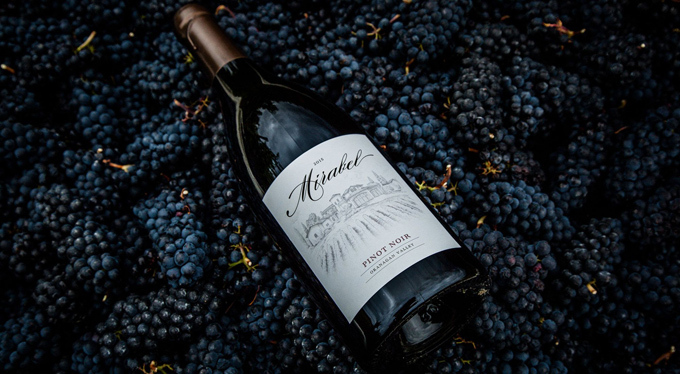 Mirabel Vineyards’ owners are committed to producing the highest quality grape possible, which has garnered them appearance in publications such as Forbes. If you are lucky enough to get your hands on one of these bottles, savour it with your Valentine! We all know someone who has bacon for breakfast, a ham sandwich for lunch, and a steak for dinner: a good old-fashioned carnivore. If you are planning on having a protein-fueled Valentine’s dinner, maximize the taste of the rich flavours by pairing your dish with a brooding red, namely Haywire’s Free Form Red 2015. Haywire’s Free Form wines are made naturally with zero cellar intervention. The intense profile includes dark black fruits, fruit cake, and mocha; the structure has formidable silkiness and depth. No Valentine this year? No problem. Evolve Cellars’ Pink Effervescence is the perfect bubble to pop with your Galentine. Not only is it light and perfect to pair with chocolate and other sweets, it’s unique ballet slipper hue is the perfect addition to any girls night. (And if you’re planning on taking Snapchats or any photos for Instagram, this bottle is pretty much perfect.) Why have a regular coloured sparkling wine when it can be pink? Take advantage of the fact you’re celebrating with your Galentine and shake it up with this infectiously fun fizz.